In a short, one-minute, film, Elvis de Leon gave me a new perspective on the way I look at every day of my life. 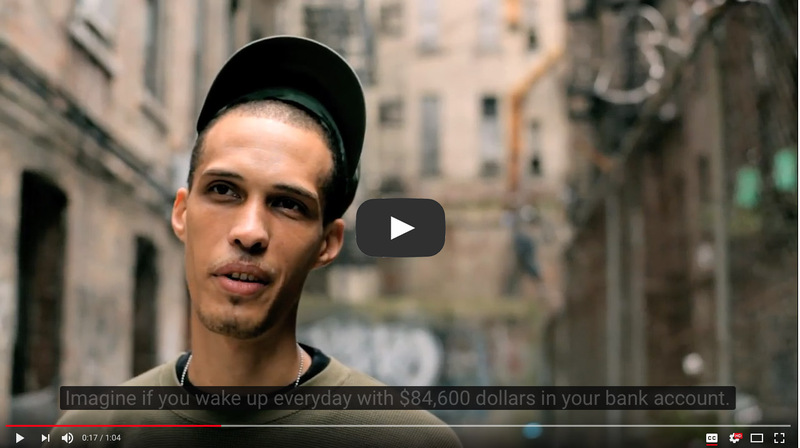 He asks the viewer to imagine that every day you wake-up with $84,600.00 in your bank account. This is not something you need to hold on to and save, but rather something that needs to be spent wisely for at the end of the day, the remaining balance will disappear forever. Now there is no reason to worry, because the next morning you will wake-up to another $84,600.00 in your account again. Each and every day of our life, we all receive approximately 84600 glorious seconds. How do you spend those moments? Do you use them purposefully to make the world a better place? Do you share them graciously with others? Or do you squander and waste them with mindless activities? You can choose. You always have a choice, but it is important to remember that the choices we make today will determine the person we become tomorrow. I suggest we make every second count! With this in mind, I invite you to explore some of the FREE ICWIB art activities and videos, because they are a wonderful way to help you become more open and present, and subsequently help you use your 84600 seconds wisely. Imagine how different the world would be if every man, woman, and child in the world was able to learn how to use the ICWIB activities to transform inaccurate beliefs that hindered their ability to learn, grow and thrive. Now that would be a good use of 84600 seconds!